The position of women under Welsh law differed significantly to that of their Norman-English counterparts. A marriage for example, could be established in two basic ways. The normal way was that the woman would be given to a man by her kin. The more unusual route was for the woman to elope with a man without the consent of her kin. In this case her kin could compel her to return, but only if she was still a virgin! If the relationship lasted for seven years she had the same entitlements as would a woman wed the 'normal' way. All this was in sharp contrast to Norman England across the border, where women had very little, if any say in who they married, and avoiding an unwelcome marriage proposal might well have necessitated joining a nunnery. One hundred and twenty pence (i.e. half a pound) for the first time. One pound for the second time; and on the third occasion she was entitled to divorce him. Furthermore, if the husband had a concubine, the wife was allowed to strike her without having to pay any compensation, even if it resulted in the concubine's death! This again was in sharp contrast to Norman law, where a wife would be expected to meekly accept any adulterous behavior by her husband. For giving away something which she was not entitled to give away. For being found with another man. If he beat her for any other cause, she was entitled to a compensation payment. Modern sensibilities might well baulk at the thought of the right of a husband to beat his wife for any reason being enshrined in law, but when you consider that the farthest Norman law went was to caution a husband that he could not put out his wife’s eye or break her arm, but specified no other constraints. 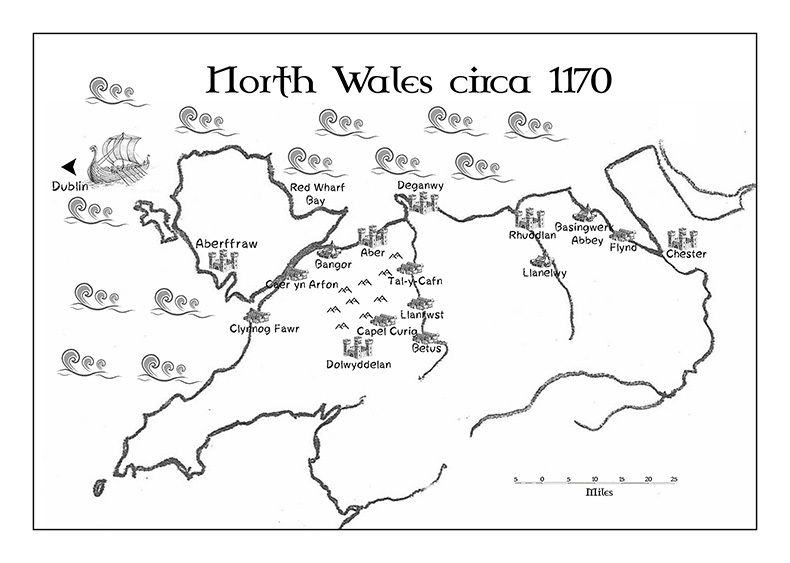 there could certainly be a solid argument put forward that for the time period, Welsh law was remarkably enlightened. In Norman England, it seems that a wife would have be expected to passively accept a ‘normal’ everyday beating with no complaint.